Dec.6: The Astros have now formally announced the signing, which brings their 40-man roster count to a total of 38 players. Dec. 5: The deal is for $5.75MM, Rosenthal tweets. Dec. 4, 4:31pm: Chirinos himself confirms to Mark Berman of FOX 26 that he has agreed to a one-year deal with the Astros and will be in Houston tomorrow to take a physical (Twitter link). 3:02pm: The Astros are closing in on a contract with free agent backstop Robinson Chirinos, per Ken Rosenthal of The Athletic (Twitter link). A deal is “believed to be in place” and is pending a physical, he adds. Terms are not yet known. Chirinos is represented by MDR Sports Management. Chirinos will join Max Stassi atop the Astros’ depth chart behind the plate and bring an offensive-minded profile to the table. 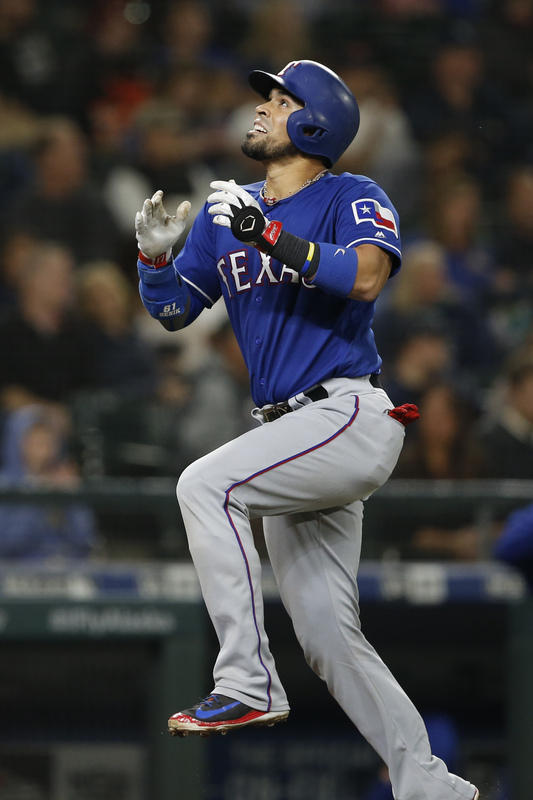 The 34-year-old somewhat surprisingly had a $4.5MM option declined by the Rangers despite hitting a combined .233/.337/.456 with 54 homers in 1178 plate appearances as a Ranger over the past four seasons. Chirinos’ production did dip substantially in 2018 from a career year in 2017, but he was still a roughly league-average bat per park-adjusted metrics like OPS+ (97) and wRC+ (103). That said, Chirinos doesn’t come with a strong defensive reputation. He’s thrown out 25 percent of opposing base thieves in his career but saw that mark fall to just 10 percent last season, and while he grades out well in terms of blocking pitches in the dirt, Baseball Prospectus has routinely graded him as a below-average framer — never more so than in 2018. With each of Brian McCann, Martin Maldonado and Evan Gattis hitting free agency, the Astros had a clear need to add some catching help to pair with Stassi, who has yet to fully establish himself as a big league regular. The 27-year-old Stassi (28 in March) batted .226/.316/.394 with eight homers and 13 doubles in 2018. He’s prevented stolen bases at a roughly league-average clip and graded out as a premium framer, but he’s also never topped the 250 plate appearances the Astros gave him last season. Adding Chirinos to the fold will give Houston at least one additional catching option with notable big league experience. Of course, it’s not out of the questions that the ’Stros further add behind the plate. Houston has often carried three catching options in the past, with McCann, Gattis, Stassi and Maldonado all occupying space on the 40-man roster in various combinations at times.